Elder Joseph B. Wirthlin (1917-2008) served as a Seventy from 1976 to 1986, then as a member of the Quorum of Twelve Apostles from 1986 until his passing in 2008 at age 91. "Learning to endure times of disappointment, suffering, and sorrow is part of our on-the-job training. These experiences, while often difficult to bear at the time, are precisely the kinds of experiences that stretch our understanding, build our character, and increase our compassion for others. "Because Jesus Christ suffered greatly, He understands our suffering. 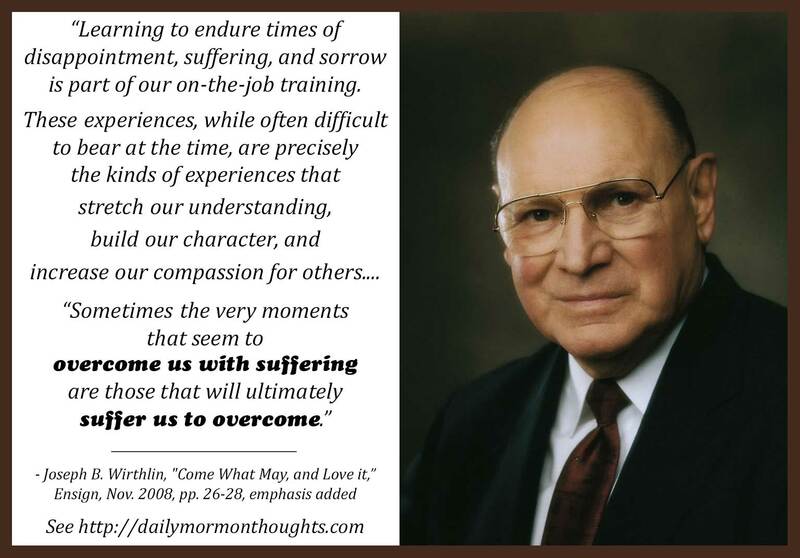 He understands our grief. We experience hard things so that we too may have increased compassion and understanding for others. "With that eternal perspective, Joseph took comfort from these words, and so can we. Sometimes the very moments that seem to overcome us with suffering are those that will ultimately suffer us to overcome." 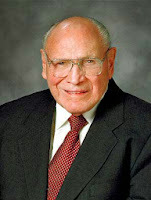 He also knew that because of the love of the Savior, we never have to endure alone; we can always know that He understands the suffering and grief of our challenges. Labels: Atonement, disappointment, enduring, Jesus Christ, sorrow, suffering, Wirthlin Joseph B. This one's going on my fridge. Thanks.